Your Twitter timeline generates music. Discover music out of your imagination, from millions of tracks given by Spotify. Spotify award winner app on Music Hack Day Tokyo 2014. *A Spotify premium account and a twitter account are required to enjoy twicc. twicc ([twík]) plays songs matched with tweets in your Twitter timeline, one by one. It’s like a DJ, inspired by tweets. On twicc, you must discover not only popular tunes, but also unexpected tracks. 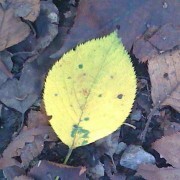 Once you find a stunning combination of music and a tweet, let’s share it!! Come across music generated by tweets!! 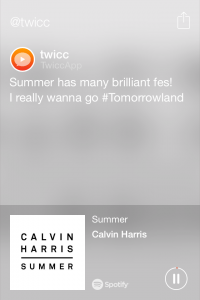 Tokyo – August 15, 2014- twicc today announced “twicc” ([twík]), an iOS music application, plays Spotify music tracks matched with tweets on its user’s Twitter timeline. 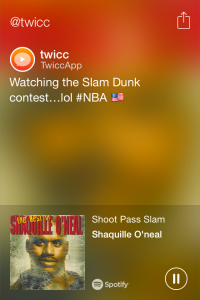 Now twicc app is available on the App Store in the US and in the UK. twicc has received Spotify award at Music Hack Day 2014 Tokyo. twicc is an iPhone app that analyzes texts of tweet on user’s Twitter timeline, and plays music matched with it, one by one. On twicc, music fans can discover not only popular tunes, but also music tracks out of their imagination, from millions of tracks provided by Spotify. twicc team has kept on developing and brushing up twicc for months after the hack day. “twicc realizes music discovery with fun and surprise. On twicc, daily communication on Twitter brings music. We hope that twicc makes relationships between people and music more easygoing,” one of twicc’s developers Yusuke Ariyoshi said. *A spotify premium account and a Twitter account are required to enjoy this application. twicc is a project team based in Tokyo (Japan), formed at Music Hack Day Tokyo 2014, worldwide hackathon event (http://new.musichackday.org/) . 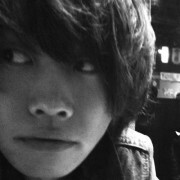 twicc members, Yusuke Ariyoshi (software developer), Toshiyuki Yasuno (software developer), Hiroyuki Oyama (designer) are working on developing new ways of enjoying music. We are twicc team based in Tokyo. We love music and tech, so it was natural that we participated in Music Hack Day Tokyo 2014 at Harajuku, as creators. Music Hack Day is an exciting hackathon where creators conceptualize, create and present their projects related to music (see sonarplusd.com’s article). 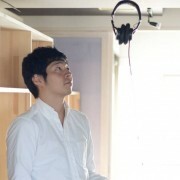 It was memorable that Music Hack Day was held in Japan for the first time. In the result of our presentation, Spotify team favorited our hack (also check Spotify Developer Blog). Our project is named “twicc” ([twík]). 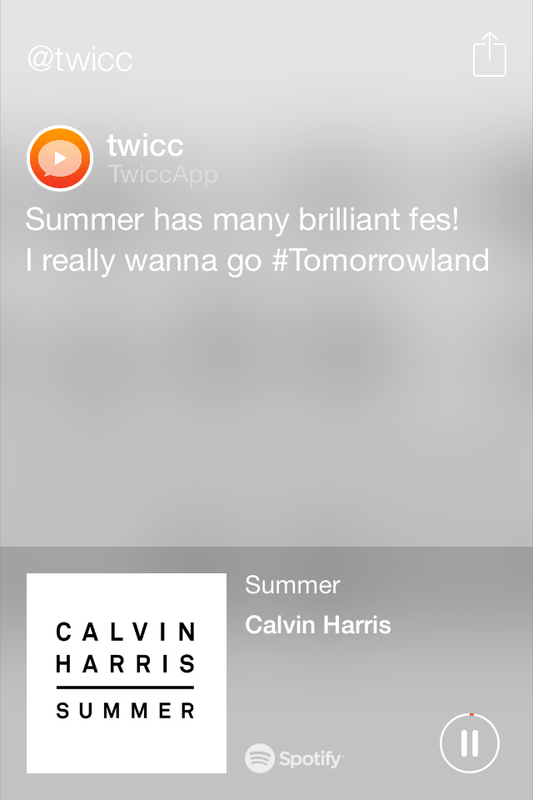 twicc is an iPhone app, which plays Spotify music matched with tweets in user’s Twitter timeline. twicc analyzes the text of tweet, and call out music from Spotify. 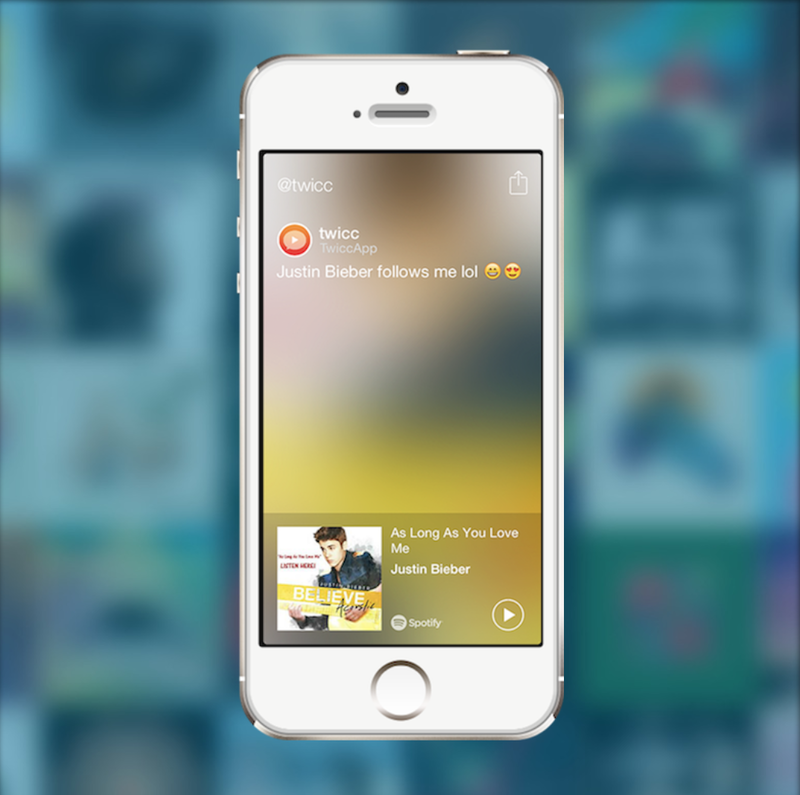 Its matching of text and music realizes music discovery with fun and surprise. If your friend tweeted about EDM, you may find Calvin Harris’ sound on twicc. Or else, if your following celebrity tweeted about NBA, you may come across Shaquille O’Neal’s track. On twicc, your daily communication (on Twitter) brings music. We hope that twicc makes relationships between people and music more easygoing. After the hack day, we’ve kept on developing and brushing up twicc. Soon it will debut in the App Store. Wait for several days with your Twitter & Spotify premium account!! twicc is an app won Spotify award at Music Hack Day 2014 Tokyo. The team has kept on developing twicc after the hackathon, and itʼs finally released!! We are a project team that develops new ways of enjoying music. If you’d like to ask work or just say hello, feel free to contact us.